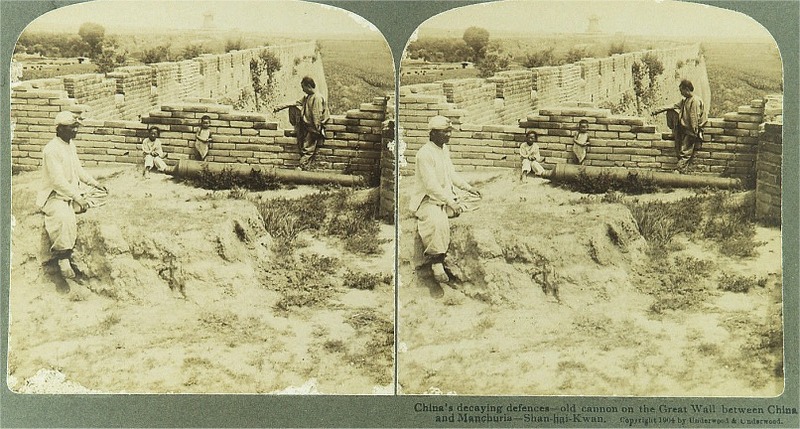 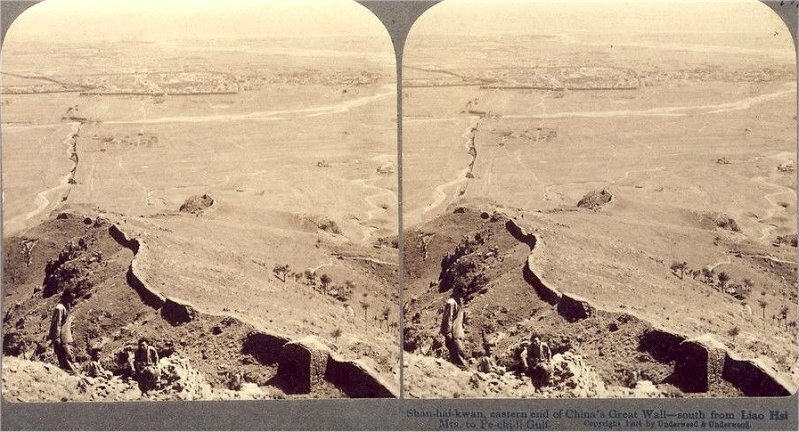 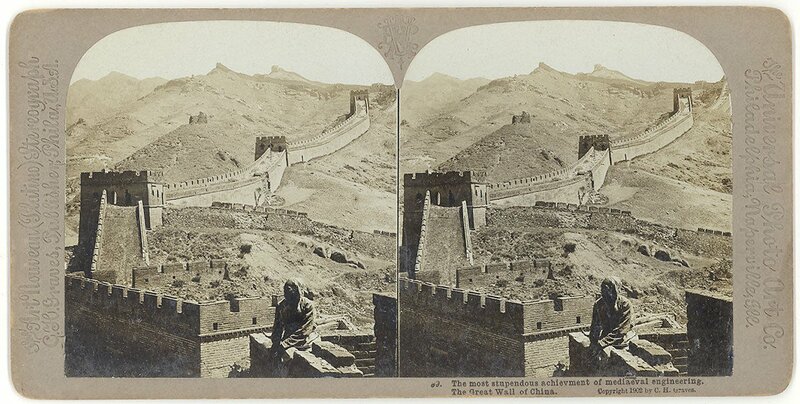 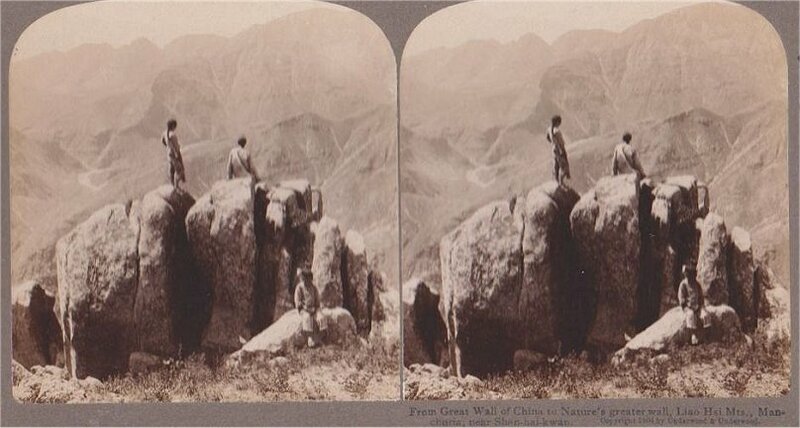 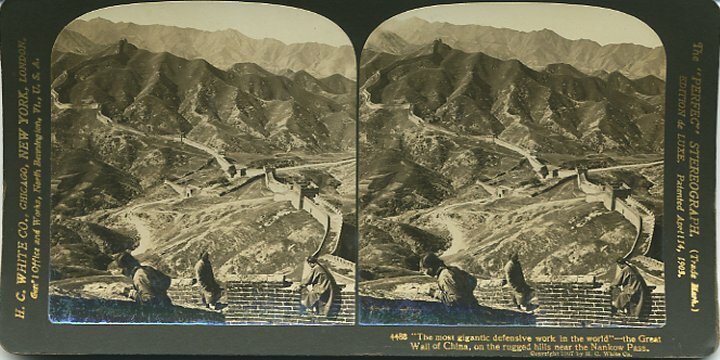 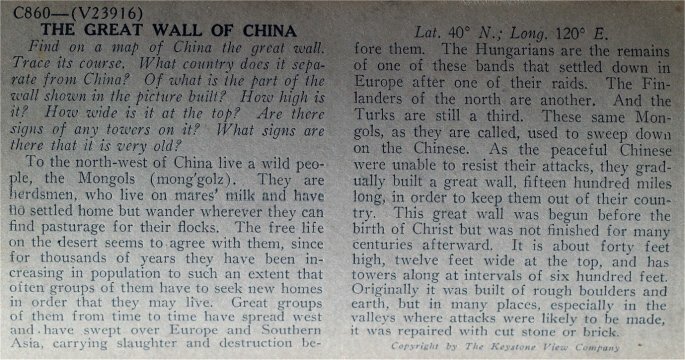 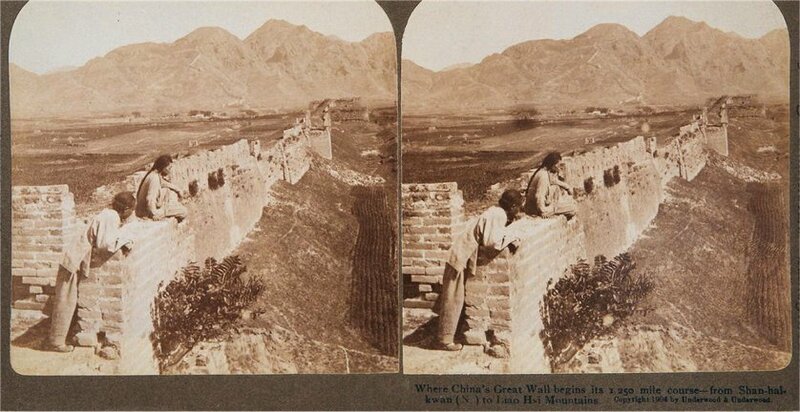 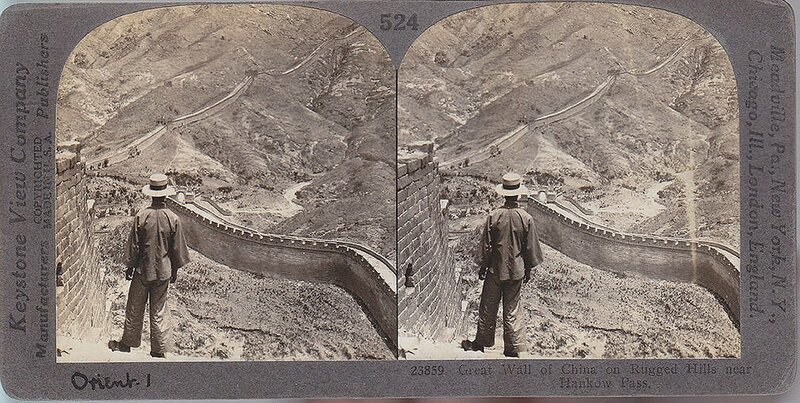 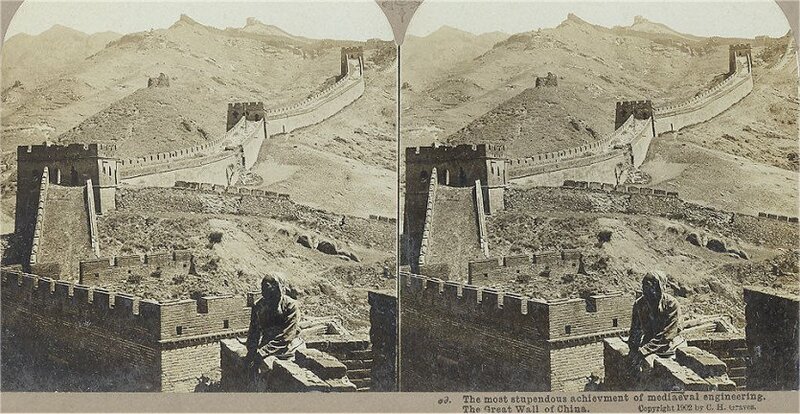 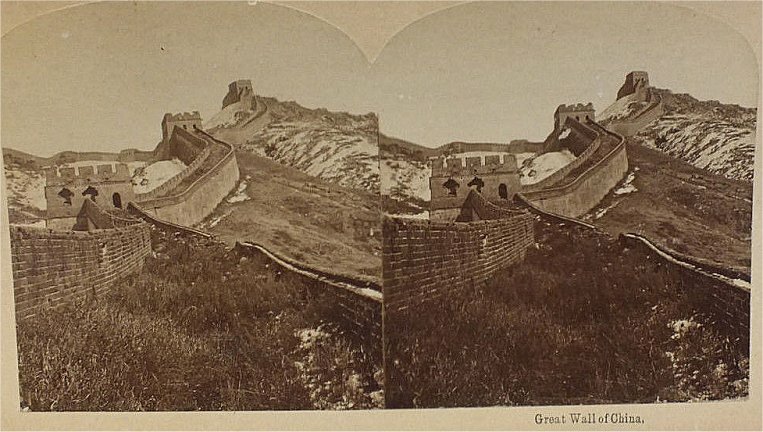 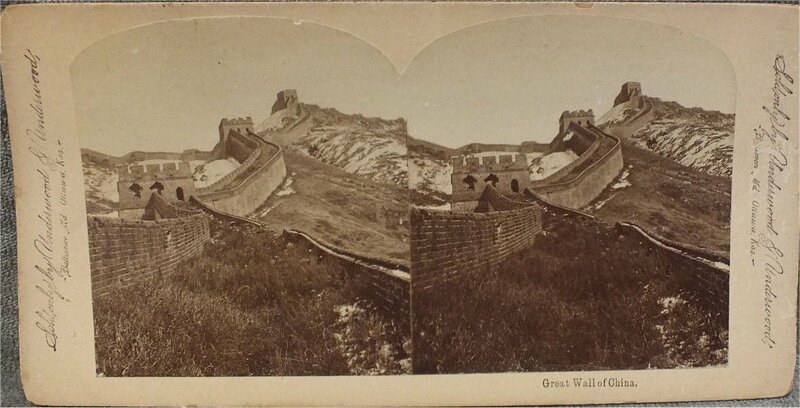 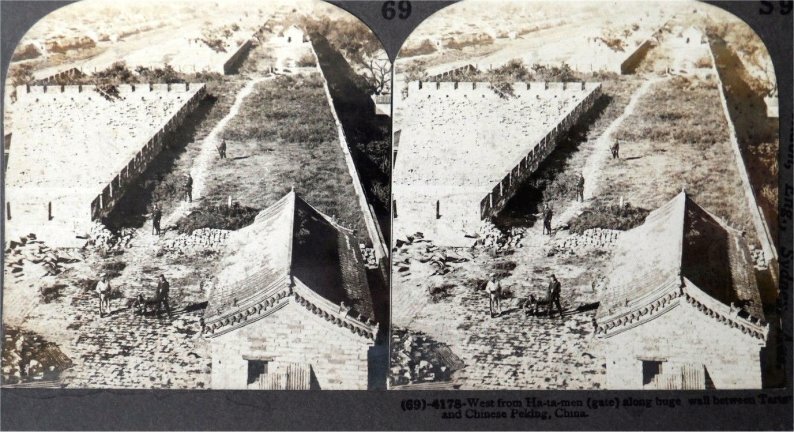 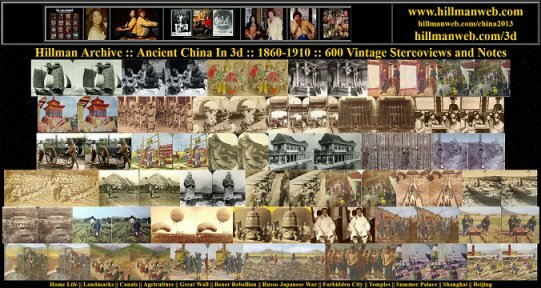 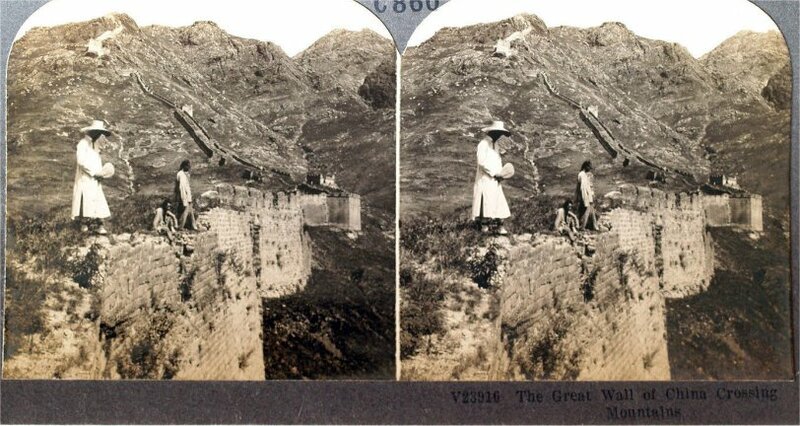 China's old barrier against Tartar hordes -- Great Wall crossing mountains. 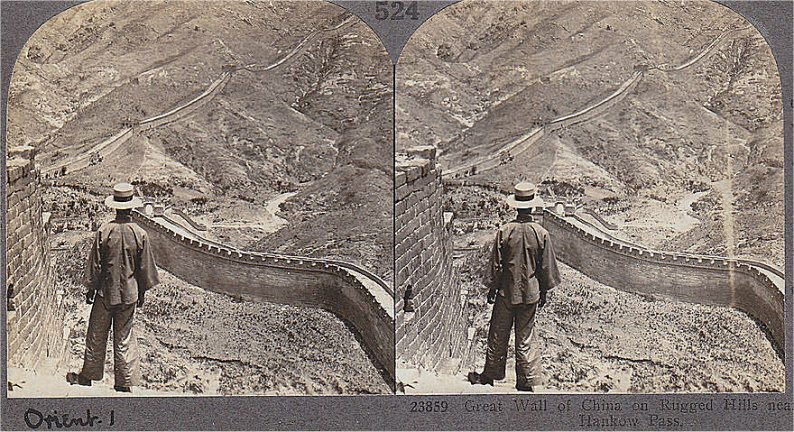 Shan-hai-kwan. 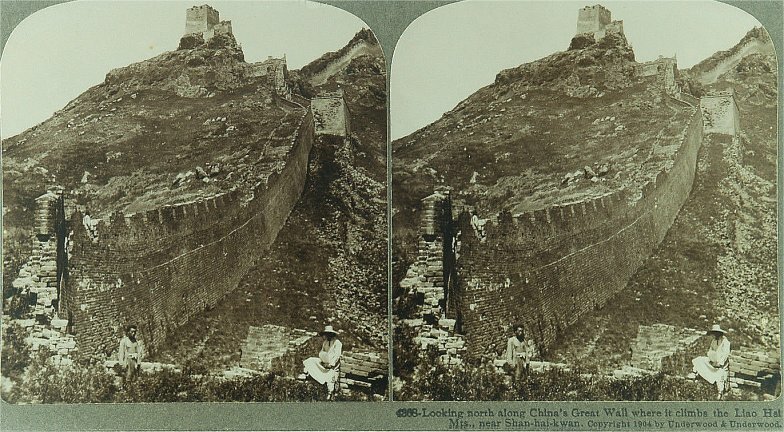 Looking north along China's Great Wall where it climbs the Liao Hsi Mts., near Shan-hai-kwan.